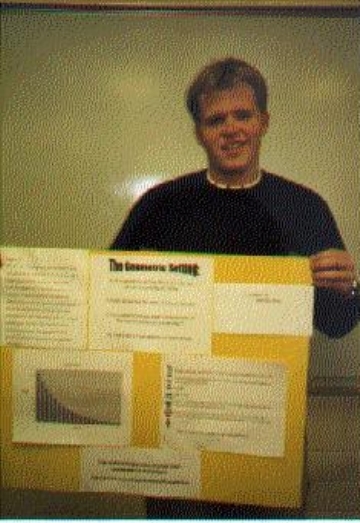 Brad's poster provides an explanation of the geometric setting along with an example. Each observation falls into one of two categories: Success or Failure (or whatever you wish to call them). The probability of success is the same for each observation. The variable of interest is the number of trials required to obtain the first success. Here are some of the probabilities displayed in Brad's chart.